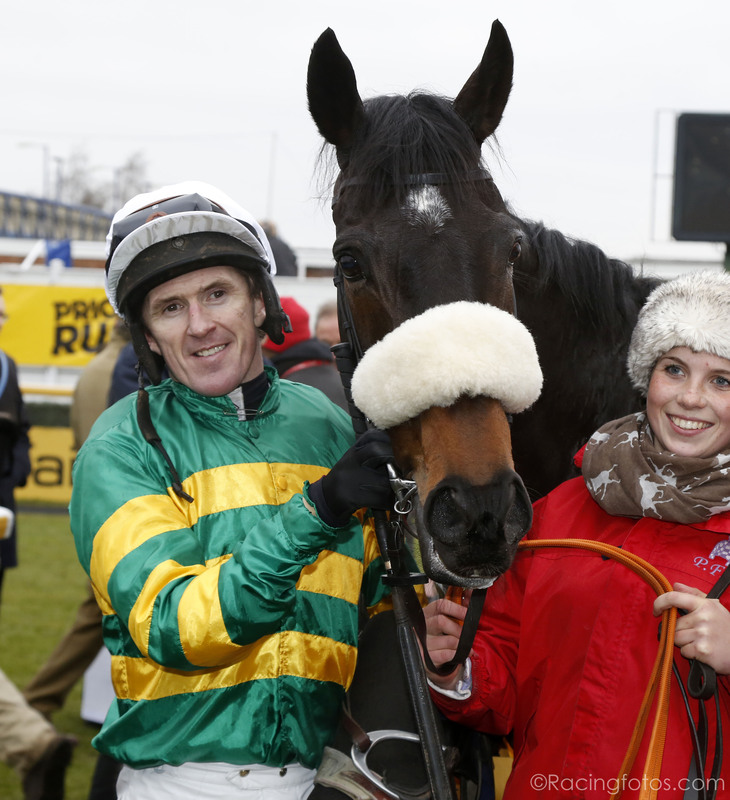 Tony McCoy and Mr Mole after riding his 200th winner of the season. Pic: Dan Abraham-racingfotos.com (Courtesy of Great British Racing). By Simon Jackson at Sandown Park. Tony McCoy retires from race-riding on Saturday at Sandown where he will be presented with his 20th jockeys’ championship title by Arsenal legend Ian Wright. Wright helped the Gunners to secure a host of top honours during his seven years with the north Londoners in the late 1990s, where he was regularly their leading goal scorer. He has been called in to present Arsenal fan McCoy with his last jockeys’ championship title. McCoy has two rides on Saturday, Mr Mole for his boss JP McManus and trainer Paul Nicholls in the bet365 AP McCoy Celebration Chase at 3.15pm – which has been renamed in his honour and will have his final ride on the McManus-owned Box Office for Jonjo O’Neill 70 minutes later. Mr Mole provided the jockey with his 200th winner of the season when landing the Grade 2 Betfair Price Rush chase at Newbury in February, after which the jockey announced that he was to retire this season. The 40-year-old was the first jockey to ride 3,000 and then 4,000 winners, in a sublime career that includes winning Cheltenham Gold Cups on Mr Mulligan and Synchronised and the Grand National on Don’t Push It. There have been past instances of Arsenal formally recognising McCoy’s successes in the saddle. He was honoured at the Emirates Stadium after riding his 4000th winner when presented with a specially commissioned ‘McCoy 4000’ shirt by Arsenal winger Alex Oxlade-Chamberlain 16 months ago. The first-team shirt, commemorating McCoy’s record 4,000th victory on Mountain Tunes at Towcester, was signed by members of Arsenal FC in recognition of McCoy’s achievements that year. Arsene Wenger, whose side last weekend booked their place in the FA Cup Final where they are set to play Aston Villa, also paid tribute to the achievements of McCoy who in 2010 was the first jockey to win the BBC Sports Personality of the Year award. “I would like to pass on my congratulations to AP McCoy for reaching this remarkable milestone,” Wenger said after the McCoy rode his 4000th winner. “He has been at the top of his sport for a very long time – as long as I have been manager of Arsenal Football Club – and that shows fantastic consistency.